First2Print and the Social Imprint Project. 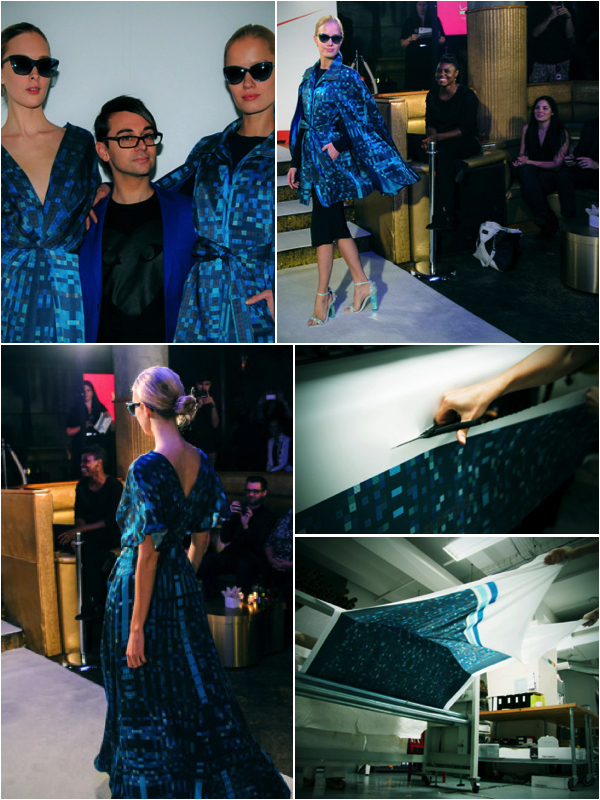 We are proud to share an update from our sister company, First2print, about and exciting project that they participated in with Christian Siriano. Originally posted here. The Social Imprint project used viewer tweets to inform an algorithm, which produced a graphic print design, which was digitally printed on silk charmeuse at our NY Studio, and finally was shipped to Christian Siriano who created two garments from it. This project meshed together technology, real-time social response to pop culture and fashion, and was worth the late nights preparing for a seamless production that ran parallel to Fashion Rocks at the Barclay Center. The final garments were walked down a runway at the Gilded Lilly in NYC, which representatives from First2Print were invited to attend. 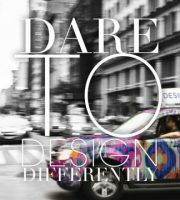 This entry was posted in Designer Fashion, Digital Printing, Fashion, First2Print, New York City, print & pattern, Runway Shows, Textiles, Trending, Trends, Uncategorized, Women's Fashion and tagged Barclay Center, Christian Siriano, Design, Design Works International, Designer, Designer Fashion, Fashion, Fashion Rocks, First2Print, Gilded Lilly, Imprint project, Local NYC Artists, New York City, NY Studio, NYC, print design, Product Design, project, Social Imprint, Surface design, Textiles, Trend Blogs, Trending, Trends, Women's Fashion by Design Works International. Bookmark the permalink.